Jeff Knox is the Director of The Firearms Coalition and founder of GunVoter.org. He is a second generation rights activist, following in the footsteps of his father, gun rights legend, Neal Knox, who spent 40 years in the trenches of the gun rights battle. Jeff is a regular columnist for Ammoland and Firearms News (formerly Shotgun News), as well as a contributor to a variety of other print and online publications. He also oversees production of a regular newsletter called the Hard Corps Report, and, along with his brother Chris, maintains FirearmsCoalition.org and GunVoter.org, as well as corresponding pages on Facebook. Laura Carno is a political strategist setting straight the relationship between citizens and their government. She is the author of “Government Ruins Nearly Everything”, and founder of I Am Created Equal, and the FASTERColorado Charter. Laura has dedicated herself to setting straight the relationship between citizens and their government. She is the founder of I Am Created Equal, and through her political media company, she helped to recall Senator John Morse with her “Don’t you Dare” campaign, and helped to send Mark Udall home with her Udall Lied campaign. She is active in Coloradans For Civil Liberties, an organization helping to win back the gun rights lost in Colorado in 2013. 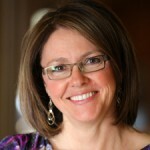 Laura is also an advocate for school safety and the FASTER Saves Lives program, which stands for Faculty/Administrator Safety Training and Emergency Response and has started a Charter of that program in her home state of Colorado under the name of FASTERColorado.com. 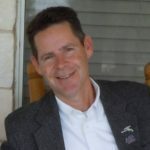 Hour 1 Guest: Jeff Knox, the Director of The Firearms Coalition and founder of GunVoter.org. He is a second generation rights activist, following in the footsteps of his father, gun rights legend, Neal Knox, who spent 40 years in the trenches of the gun rights war. Jeff is a regular columnist for WND.com and Firearms News (formerly Shotgun News), as well as a contributor to a variety of other print and online publications. He also oversees production of a regular newsletter called the Hard Corps Report, and, along with his brother Chris, maintains FirearmsCoalition.org and GunVoter.org, as well as corresponding pages on Facebook. Hour 2 Guest: Laura Carno is a political strategist setting straight the relationship between citizens and their government. She is the founder of I Am Created Equal, and through her political media company, she helped to recall Senator John Morse with her “Don’t you Dare” campaign, and helped to send Mark Udall home with her Udall Lied campaign. She is active in Coloradans For Civil Liberties, an organizations helping to win back the gun rights lost in Colorado in 2013. Share the post "GunFreedomRadio EP24 Sibling Rivalry"